Olive Natural Beauty products are handmade fresh in small batches to ensure the highest quality of ingredients and to deliver a powerful and magnificent final product that keeps your skin Resilient, Healthy, Youthful, and Radiant- natural beauty. Jess Lauren is the powerhouse woman behind the brand. She makes and packages all her orders by hand. Her inspiration stemmed from her Italian family background and her love for skin-care products when she took a job at an apothecary in Boston during college. Having grown up in an Italian household, Jess learned from a young age how beneficial and important olive oil can be to the body's health. Through using the oil as a cooking staple and seeing her grandparents use it as a regular skin moisturizer, Jess found her perfect skin care product. 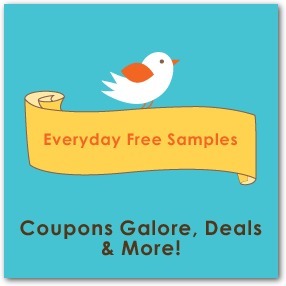 For this review i received some amazing products, they are truly fabulous! Goddess Glow- Refreshing Rosemary Body Scrub is 100% made by hand to produce a unique and effective product that cannot be found anywhere else. Made of Organic Rosemary and Spearmint essential oils helps to invigorate and enliven tired skin. Refreshing Rosemary Goddess Glow Scrub helps to gently buff away dead skin cells to reveal a youthful glow, and regenerate the entire body. I really love this product, so soothing! Clarifying Candle in Radiant Rose are made with domestic and kosher soy wax, beeswax, and all-natural wood wicks. While releasing no chemicals, the candles naturally purify the surrounding air when lit. With the soothing scents of natural essential oils, Clarifying Candles help clear the mind and create a positive attitude—the atmosphere of natural beauty. Each candle has a burn time of 25-30 hours, emits the light, slightly sweet scent of rose and jasmine. Great for any room, this calming scent is great for the bedroom or a long bath with our Bathing Beauty Tub Tea! Savior Salve- Sweet Fennel Skin Soother is a lotion without the chemicals and fillers. Light, yet intensive, and softens the skin with its moisturizing organic oils, fair trade butters, and healing essential oils. Organic Fennel essential oil helps to stimulate circulation throughout the skin, as well as firm and brighten the skins appearance. With a hint of rose, this sweet scent is wonderfully balancing. Can be use all over the body, as a cuticle cream, scar brightening treatment, callus treatment, or even to tame hair fly-a-ways and save hair split ends. 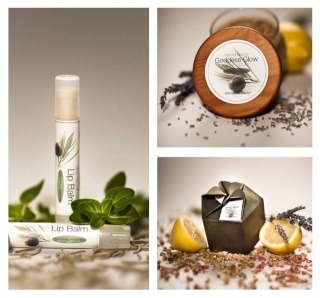 Refreshing Rosemary Lip Balm this is truly refreshing and smells great too! 100% Italian extra virgin olive oil and organic almond oil gently soften the lips, while beeswax creates a protective layer to prevent moisture loss. Bathing Beauty Tub Tea- Relaxing Tub Soak Each unique Olive Natural Beauty Bathing Beauty Tub Tea is made by hand in an individual tea bag with chamomile flowers, lavender petals, as well as organic and fair trade cocoa butter. Extra virgin olive oil and almond oil smooth skins tone and texture, while Organic lemongrass essential oil brightens and cleanses skin. Organic oats restore the skins natural moisture and are suitable for all skin types. These teas naturally fizz in the bath for up to 20 minutes, and combined with four of the most beneficial herbs resist the temptation to never leave the bath. Most of the products are available in five natural scents: Oat and Honey, Radiant Rose, Lemon and Lavender, Sweet Fennel and Refreshing Rosemary. My personal favorites are Goddess Glow- Refreshing Rosemary Body Scrub which is really soothing, made my skin glowing again and Refreshing Rosemary Lip Balm which glides on smoothly on my lips and they all smells so great! 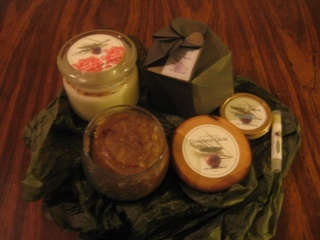 You can purchase these all natural, organic, 100% handmade products at olivenaturalbeauty.com and be amazed! Thanks Ms. Jess Lauren of Olive Natural Beauty, one EFS member will win a beauty prize gift pack (pictured below)! Savior Salve- Lemon and Lavender Skin Soother - I'm on my feet all day and this sounds heavenlyafter a hot shower. I would like to try the body scrub! I would love to try the Goddess Glow- Oat and Honey Body Scrub. Thanks for the giveaway! !